Though this in betweenness will surely carry on for a few more days or weeks or months (who really knows! ), we’ve arrived at the last of my posts designed to propel you through it. And you’re well aware, I am sure, of what else I’ve been getting at. Namely: the in between comes not only betwixt the seasons. All of this talk about winter into spring is just my way of pointing to the strange and sometimes awkward period that sits between what is and what will be. Though that period isn’t bad, per se, it doesn’t always feel good (especially when you’re awaiting a what will be involving sunshine and ice cream cones and fresh strawberries). Rather like the cookies I bring you today, with their assortment of nuts and chocolate chunks and mashed bananas and popcorn(!) and sundry healthful ingredients packed within, the in between can be an unwieldy thing. Funny looking, even, and a little bit suspect. How, you wonder, is this possibly going to turn out well? And yet, it DOES turn out well. I know how clever you people are, so I’ll let you fill in the rest of the analogy, though overt it may be: these cookies, this season, your life. However strange or unpredictable or seemingly graceless, in the end…good. Very, very good. So go on. Get out there and live, right there in the in between, wholeheartedly embracing it, and then jumping with abandon into whatever follows–which you’ll no doubt be able to do with more gratitude than you possibly could have mustered otherwise. Oh, and bring some cookies. Armed with cookies, all shall be well indeed. 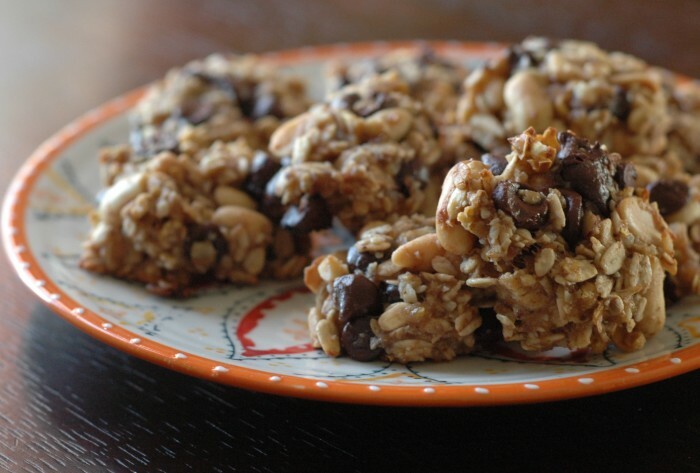 These cookies contain no sugar (aside from what is in your chocolate chips), but I promise you won’t miss it! Also absent but not missed: butter, eggs and flour. 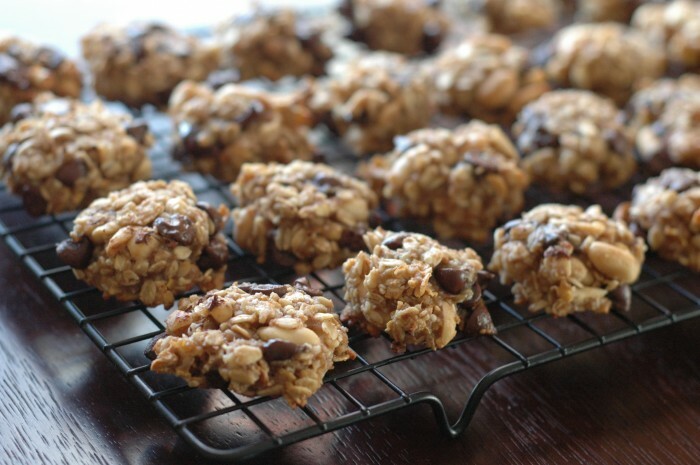 If you use gluten-free oats, you will have yourself one delicious gluten-free cookie. Also, there is popcorn in this cookie. Popcorn! You must try it. These cookies have been highly popular with my coworkers; empty Tupperware in the office kitchen is a sure indication of something good. The first time I made these, I used air-popped popcorn, my go-to, but the weight didn’t match the volume specified in the recipe. This time, I used popcorn popped on the stovetop in a bit of olive oil, and that matched up just as indicated, so I suggest that. The oil-popped corn gives the cookies a bit more crunch, too, which is nice. Finally, I don’t usually have peanuts around (I’m more a walnut and almond kind of lady), but I really like them in this cookie. So playful, and thus quite appropriate for a cookie with “carnival” in the name. That said, I imagine the recipe would cooperate marvelously with any nut you might choose. Next time, I plan to tinker around with it to make a breakfast cookie. Let me know in the comments about any substitutions you make! In a large bowl, stir together the bananas, vanilla and coconut oil. Set aside. 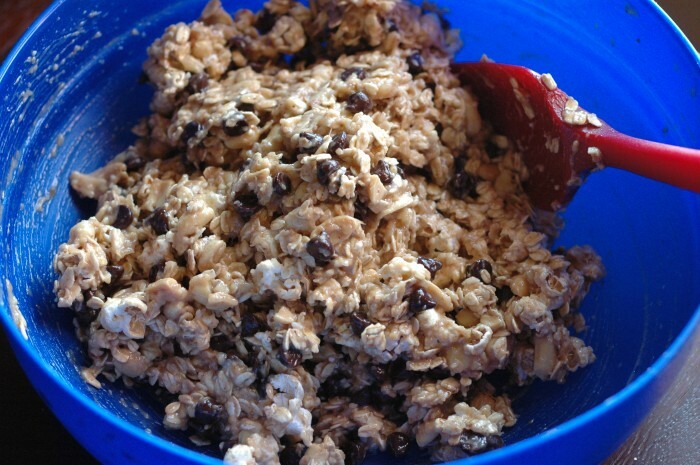 In a medium bowl, combine the oats, almond meal, baking powder, cinnamon and salt. Add the dry ingredients to the wet; stir until combined. 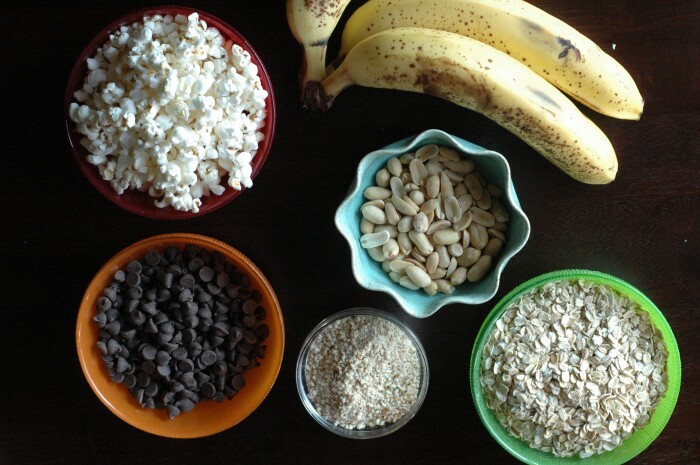 Fold in the chocolate, then the peanuts and finally the popped corn. The dough will be rather loose. Firmly shape the dough into small balls, about 1 heaping tablespoon each. Place them an inch or so apart on the prepared pans. 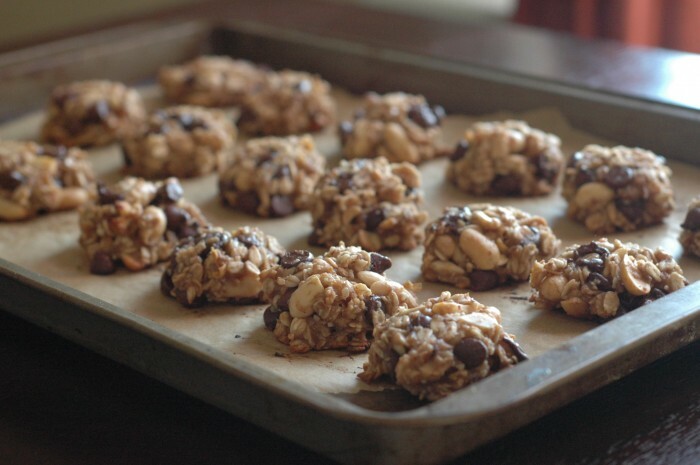 Bake for 14 – 17 minutes, swapping the sheets from top to bottom in the middle of the baking time, until the bottoms of the cookies are deeply golden. Remove the pans from the oven and transfer the cookies to a wire rack to cool. Well! From your In Between Series we have an entire meal: breakfast, soup, salad, bread and cookies. Thanks for sharing these recipes. They all look great! We talked about the “in between” times in my bible study last night. We called them “between the rains” like the dry times for a farmer who is waiting for the rains to come. We were reminded that the waiting season is a process, so enjoy the lessons that come and keep your faith strong. The rain is coming! I have really enjoyed “the in between”, and I wonder, what will come next? Plus, I am expecting cookies the next time I see you…. Carnival Cookies! I will try them this weekend perhaps. Those look so great!! What a fun combination of things in a cookie. Those look wonderful. All the nuts and grains looked more like the components of a granola recipe at first–wouldn’t granola with popcorn be something! Sort of a cross between ordinary granola and caramel corn, maybe. 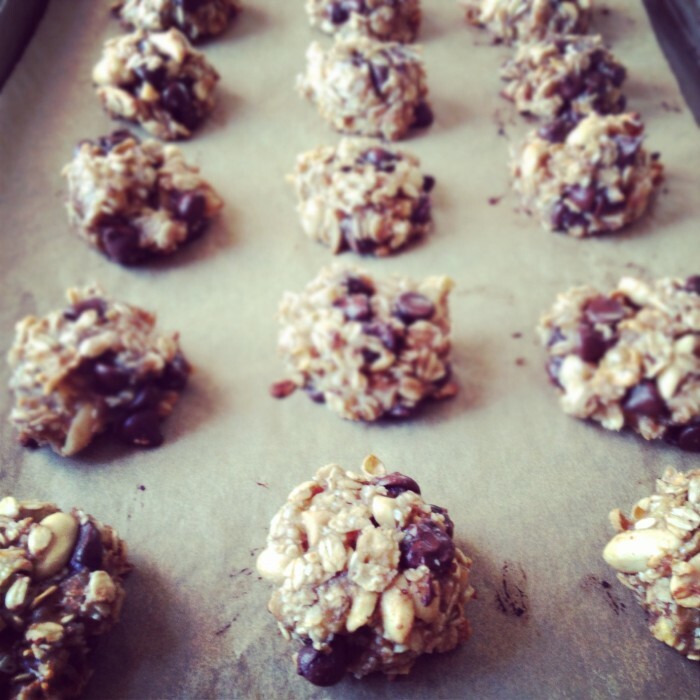 But I also bet that these cookies turn out almost like big hunks of the best granola ever. Must try! popcorn in cookies?? brilliant. definitely trying this when i get a spare minute! !